Each Flex Grounds 4-Pack provides purchasers with four (4) Any One Day Flex Grounds tickets, giving flexibility to the ticket-holder desired day(s) of attendance. 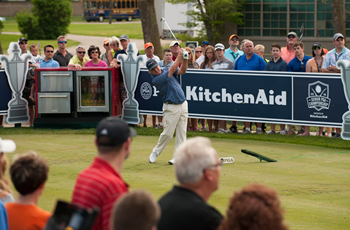 Each Flex Grounds ticket is valid to use for any one (1) day of the Championship, one-time. For example, a Flex Grounds ticket 4-Pack may be used for one individual to attend Thursday, Friday, Saturday & Sunday, or a group of four to attend one day. 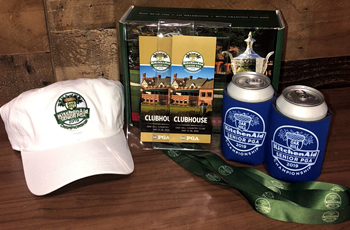 The Clubhouse Ticket Package provides access to the Championship grounds and designated areas inside the historic Oak Hill Country Club's clubhouse all six (6) days of the Championship (Tuesday-Sunday). Clubhouse ticket holders will have access to amenities such as HD Televisions, restrooms and upscale food and beverage options available for purchase. Each Clubhouse Ticket Package comes in the form of six (6) individual daily tickets. Please Note—Juniors 17 and under will be permitted Clubhouse access for a nominal fee available for purchase at Admissions on the day of attendance. A Junior Clubhouse upgrade will not allow access into the Viewing Suite. Grounds & Clubhouse tickets now bundled with Championship merchandise! While supplies last. Championship gift packages consists of display tickets only—all tickets valid for event admission will be mailed separately in late March 2019. 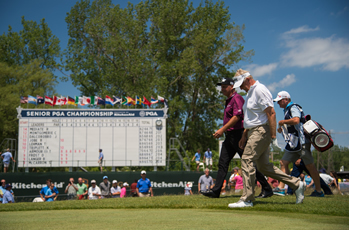 For the golf fan—A Weekly Grounds Ticket Package provides access to the grounds of Oak Hill Country Club all six (6) days of the Championship (Tuesday-Sunday). Each package comes in the form of six (6) individual daily tickets, one for each day. Daily Grounds tickets provide the holder with access to the course grounds for the day(s) specified. A ticket, once scanned, will no longer gain admission to the Championship. 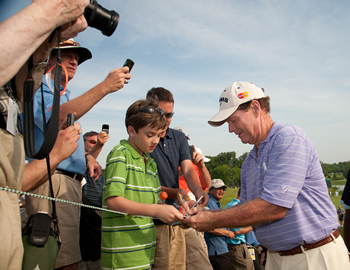 If you plan to return to Oak Hill Country Club the same day, please have security stamp your hand at one of the spectator entrance gates. You will only be able to return to the grounds with a scanned ticket and a hand stamp. The only exception is when the Weather Warning signs are posted. In this situation, a hand stamp will not be required for re-entry to the Championship. As part of the Championship’s mission to grow interest and participation in the game of golf, juniors 17 years of age and younger will be admitted into the Championship grounds for FREE when accompanied by a ticketed adult. Each ticketed adult will be permitted four junior grounds admissions per day at no additional charge. Junior tickets may be picked up on-site at the Admission Sales & Will Call Office located at the Main Spectator Entrance on the day of admission. Junior tickets cannot be obtained in advance and will be available regardless of a sell-out. 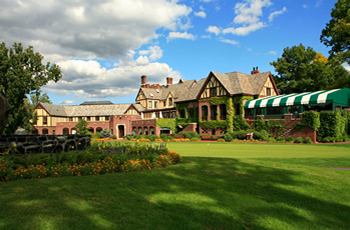 Junior tickets do not gain access into private hospitality areas or into the Clubhouse at Oak Hill Country Club. To honor the men and women who serve our country in the Armed Forces, the Championship is pleased to offer Active Duty, Retirees, Veterans, Reserve, National Guard and their accompanying guest (limit one) complimentary daily grounds access to the Championship. Upon arrival, Military personnel must go to the Admissions Sales and Will Call Office at the Main Spectator Entrance to present their Military ID or service verification in exchange for daily admission. Please note, these tickets cannot be upgraded to alternative venues, but are eligible for the junior admission policy.